Sledding is currently the number one activity of choice during recesses and Choice time at Woodland. Whether actually on a sled or using their bodies as sleds…pretending to be penguins…students are enjoying being outside even on our most frigid of days. 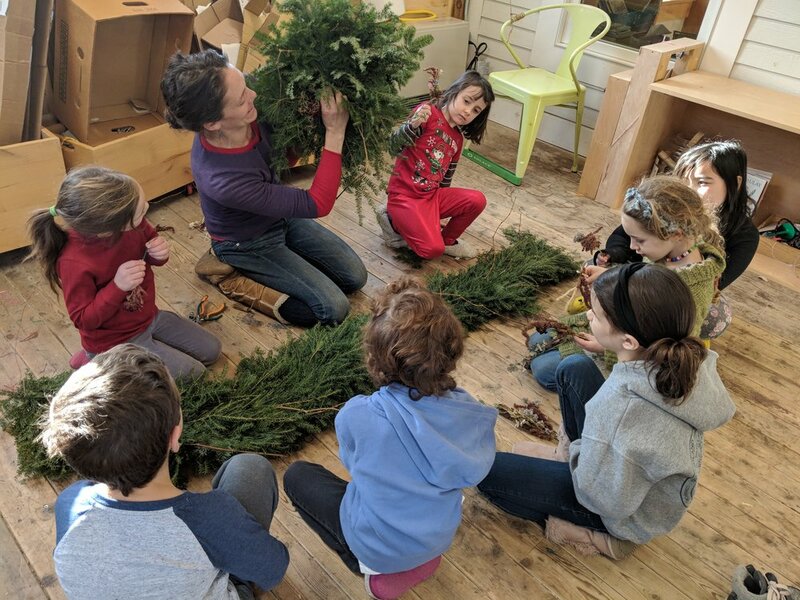 We welcomed Alex for a garland and wreath making workshop as those students who wished made gorgeous wreaths to take home, and they also made a beautiful wreath and garland which now adorn our entrance porch. 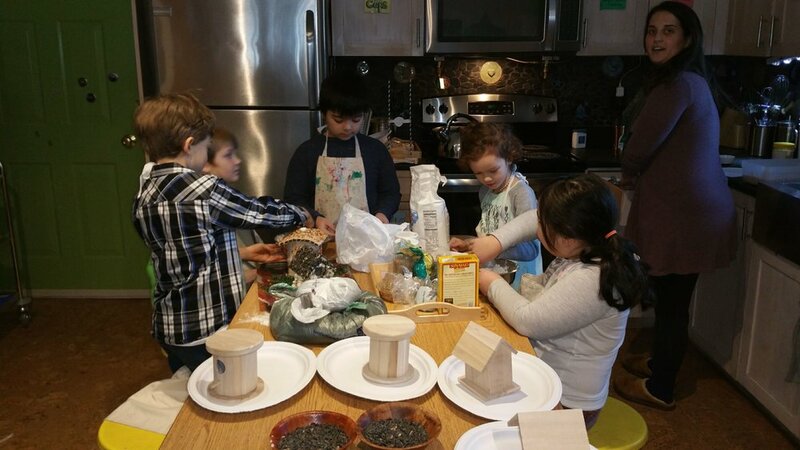 Jacquie joined in the nature fun by leading a birdhouse decorating activity as students made a bird friendly “glue” and decorated their selected birdhouse with a variety of bird seed and other edible materials. Rounding out our week, students went back to the Littleton Studio School to glaze the clay ornaments they designed last week. 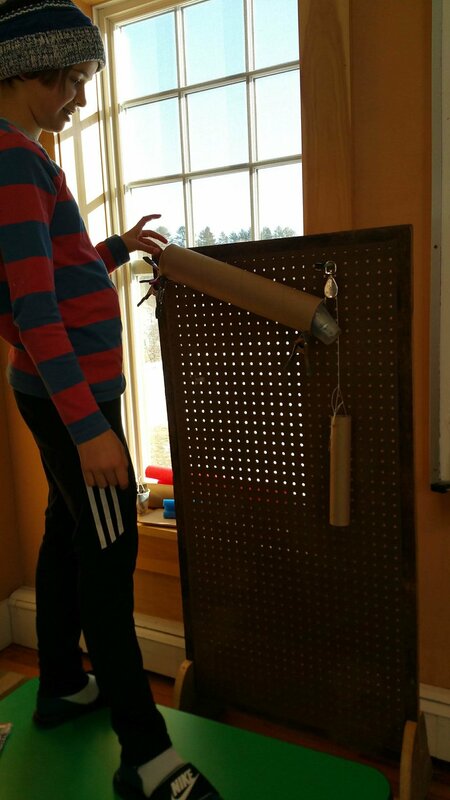 This week in Journey, students had the opportunity to use all of their simple machine knowledge in a real-life challenge. 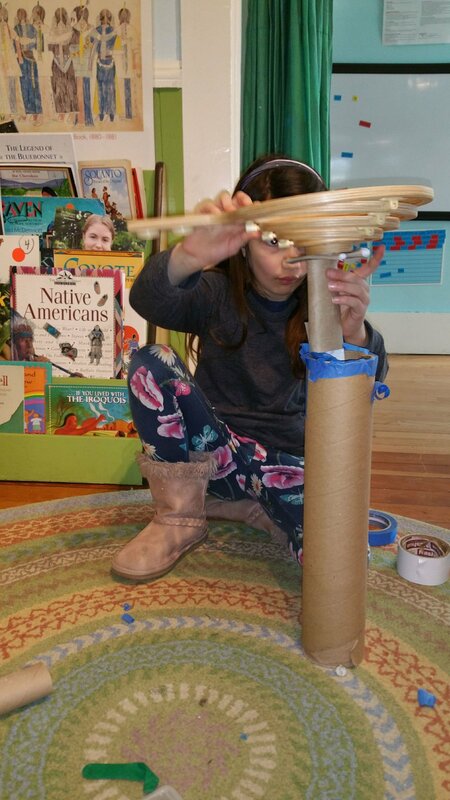 Each student identified a job that could be made easier using a combination of simple machines. The jobs ranged from practical floor sweeping machines to Rube Goldberg-esque balloon popping and bell ringing machines. 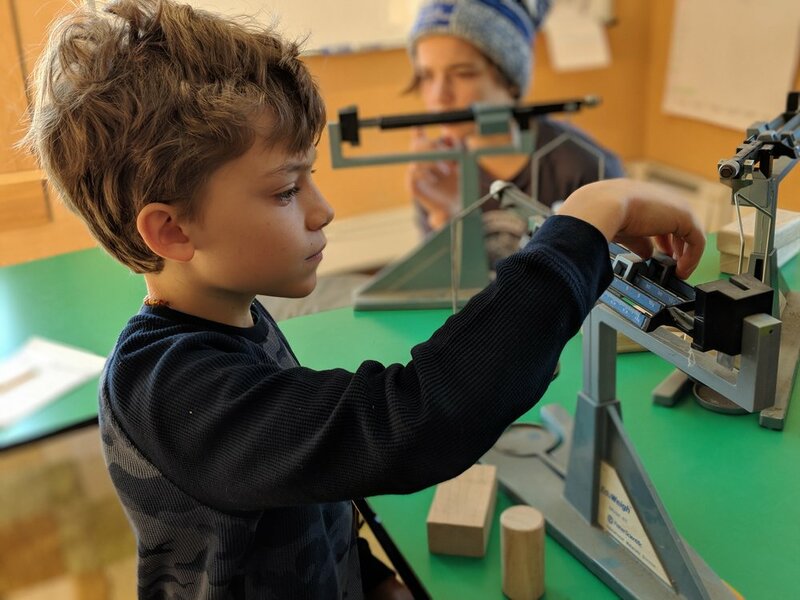 The creative energy and excitement filled every corner of the school as students worked through the process of planning, building prototypes, and fine-tuning their machines. We look forward to the unveiling of our final products at our Journey share on Thursday, December 20th at 2pm.